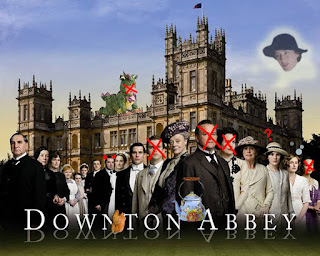 On the next episode of Downton Abbey, Lady Mary has a baby -- it's half dragon. How did that happen? We may never know, she has amnesia. Lord Grantham dies. Meanwhile, downstairs, Thomas is caught with his hand inside a cooked chicken to "see how it feels." It gets stuck. Daisy chops his other hand off with a butcher knife (accident???). How will he be a valet with one chicken hand? Don't worry, he's still got two feet! Stay tuned for those hijinks. Matthew buys one of those new-fangled "television sets," but as he carries it upstairs it crushes him and he dies. 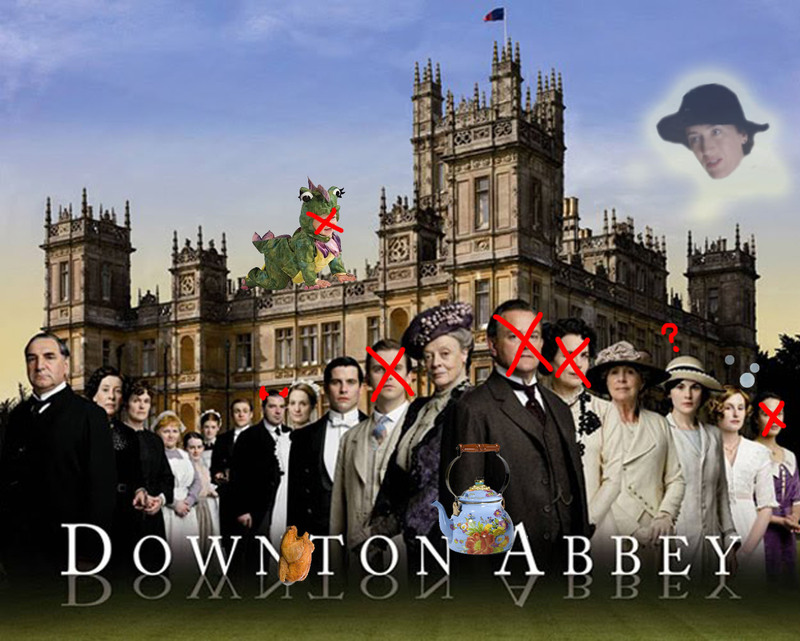 Lady Grantham dies. Turns out Bates DID murder his ex-wife, her ghost returned and revealed it all to Edith, whom no one believes because bubbles emerge from her mouth whenever she tries to tell it, indicating she is in fact the incurable drunk they all suspected her to be, and she must be banished. The dragon-baby dies and a tea kettle is the next legal heir to the estate.